Michelle Ring-Passant graduated from W.J. Mouat Secondary in 1985 and entered the University of British Columbia as the No. 1-rated high school basketball player in the province. As a freshman she not only made the UBC Thunderbird women’s basketball team, she also won most valuable rookie award. In the summer of 1986, she rediscovered her love of soccer and decided to play for the UBC soccer team rather than basketball. In that season, UBC won its fourth Canada West conference title. 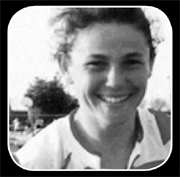 In 1987-88, the first CIAU women’s soccer national championship was held, and Ring-Passant scored the only goal in a victory over McMaster University for the national title. In 1988, she was first selected to represent Canada at an international tournament in China. In addition to being named to the CIAU first-team All Canadian in 1987, 1988 and 1989, she was awarded the Marilyn Pomfret Award as UBC’s female athlete of the year in 1990 and was later inducted into the UBC Sports Hall of Fame. In club soccer, Ring-Passant played for the Surrey Marlins and was a member of the team that won the Jubilee Shield (the national women’s championship) three years in a row (1991-93). Ring-Passant made her debut for Canada in 1986 and went on to play 45 international matches for Canada, including all three games in the 1995 World Cup in Sweden. She was inducted into Canada’s Soccer Hall of Fame in 2005.